As a means of escaping his father’s bad temper, Caroll joined the Air Force after high school, moved overseas and drew a comic strip. At 23, he returned to the States and worked as a puppeteer in Las Vegas and on early television shows. 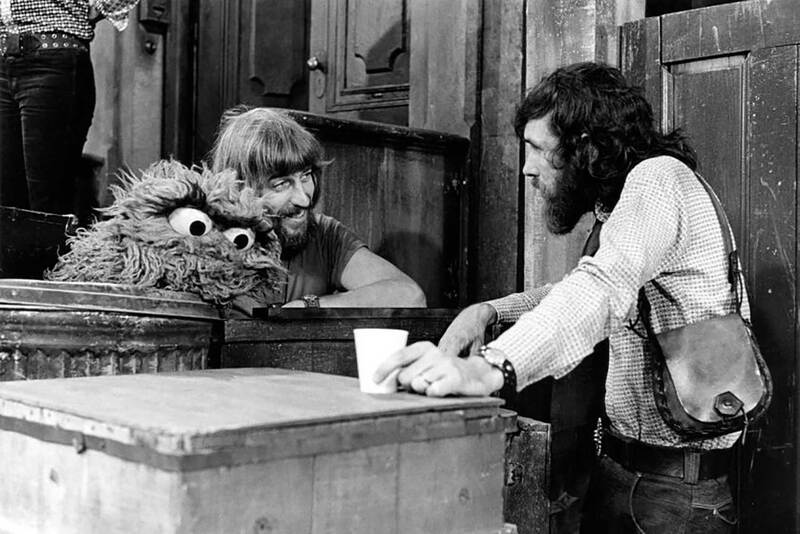 In 1962, Caroll was performing at a puppeteering festival when another puppeteer named Jim Henson asked him if he would like to “talk about the Muppets.” At the time, Caroll didn’t understand that Jim was offering him a job. Seven years later at a show in Utah, Caroll had a mishap with a spotlight which was ruining his animated backgrounds and forced him to stop his performance. Backstage and distraught, he was approached by Jim Henson again, who praised him for what he was trying to do. 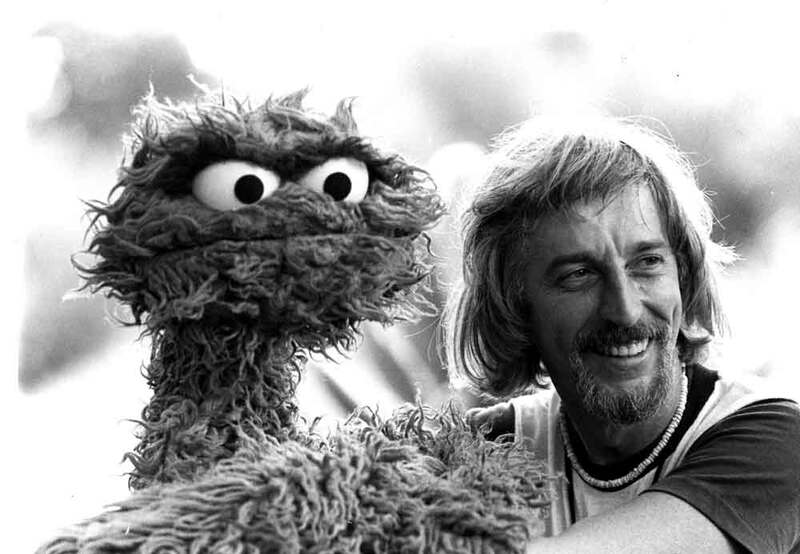 By the end of the year, Caroll had moved to New York to work on Jim’s new experimental children’s television project called Sesame Street. 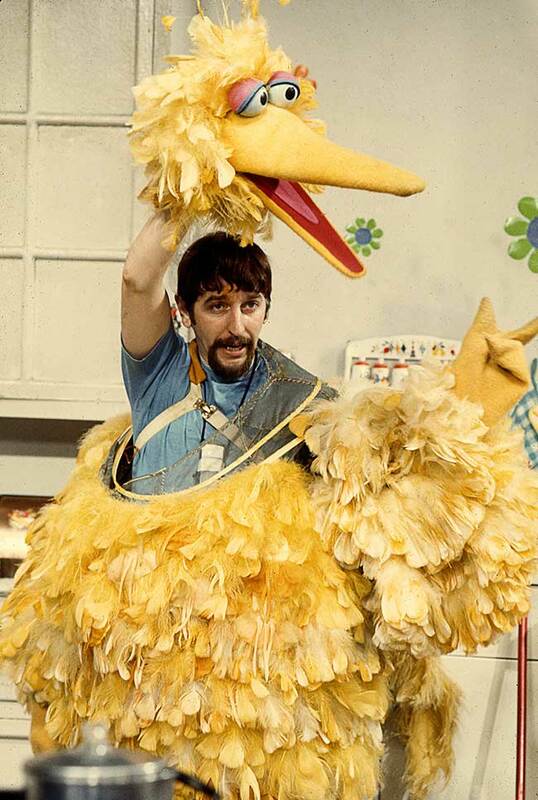 In an 8-foot, 2-inch tall, full-body suit of footed pants and 5,961 yellow feathers (as counted by the Count), with only a playback monitor strapped to his chest to see and a script taped to where he could read it, Caroll, with his right hand extended above his head and with a ring on his pinky finger, worked the eyes of his new alter ego while opening and closing the beak. At the same time, his other hand worked the left hand, moving the right hand with a counterweight. The other muppeteers crouched and played off one another, working in pairs and able to focus on timing and facial expressions with a second muppeteer working the muppet’s hands. Caroll went it alone in his yellow-tinted world, channelling his 6-year-old self to embody a giant, alphabet-learning, feelings-discovering, friendship-making, singular, anthropomorphic canary named Big Bird. You can see the 2014 documentary, “I Am Big Bird” here. Great article. You can’t make stuff like this up. I wonder how many men know how important their relationship is with their children. Spinney was undoubtedly emotionally crippled to some extent by the lack of fatherly approval. Thank you for this story, Sara. Love this! Thanks for sharing, Sara. I surely needed to read this today. Many hearts are tender here in Houston after the horrible visitation by Hurricane Harvey. I’m reminded to keep moving and offering and helping. Thank you Sara and Carroll. Wonderful story, … thank you! Love the story. I have practiced dentistry for over fourty years but deep down always wanted to be an artist feeling it was the job I was born to do.. I love my work and continue to practice but in two weeks my real dream comes true with my first solo exhibition in Winnipeg. Congratulations on your first show! Best wishes on your show and keep believing in yourself. In my books, dentistry is an art form in itself. Funny how each of us looks at things. 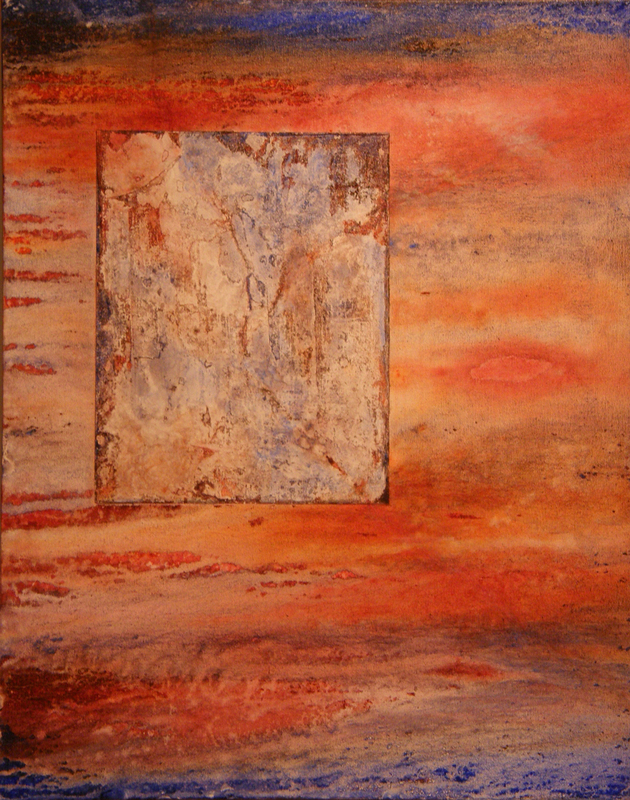 Congratulations and good luck with your solo exhibition. Where will it be held? I’ll let my Manitoba friends know. Great post . So true! Thanks for the timely reminder. Thanks Sara – After your inspiring recommendation I’ve just ordered the DVD. I’m also much looking forward to Maudie – the film about Maud Lewis but I live in a forest in the UK so will have to wait for the DVD to be released here in October. It’s not getting good reviews but that often means I’ll like it!! 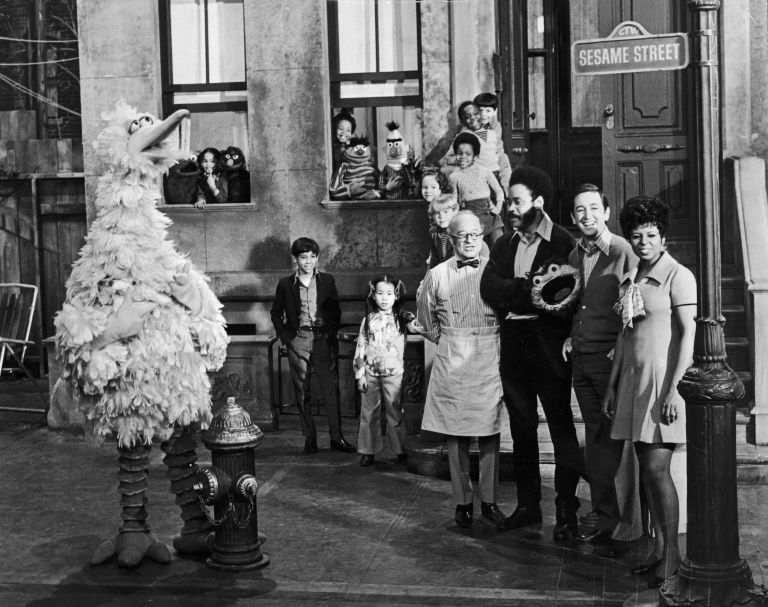 What a wonderful story to learn about, especially meaningful because, like many folks, I grew up with Sesame Street and have let if fade into the past. You pulled together such a huge feeling of a life experience in a couple paragraphs, I really enjoy your ability to do that so well. I love the part where Caroll’s plan to quit was interrupted by Kermit. I grew up with big bird. Never thought about the guy inside. Still can’t really. Big bird is big bird. The only person who sees Carroll is Carroll’s mom. Maybe his wife…what is ego to pupetteers? I have always kinda fancied that. 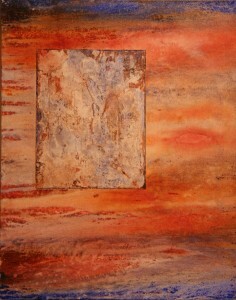 Inhabit, make up a life. For sport. Profound and interesting comments, Catherine! That is a great question Catherine. Speaking as a puppeteer, I believe if one is doing an excellent job of projecting, from their body and brain, into the puppet’s brain and body, it’s a tiny speck of playing God. For that moment in time, the puppet lives in a magical connection it has in the brains of those observing. It’s never to late to try it Catherine! Caroll did not fit into the typical archetype for a male in today’s society and that is probably one of the reasons why his father rejected him. Lucky for him he had a mother who understood him and nourished his natural talents.